Nail of the day! 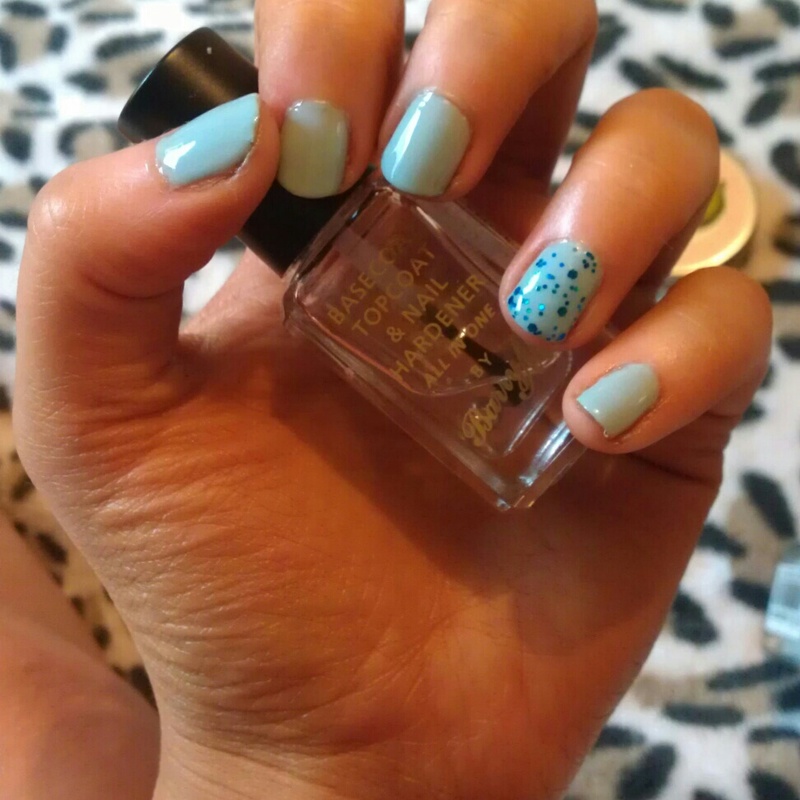 This is Barry M's 'Blue Moon' (£2.99) with Technic's 'Mermaid' (99p!) on the ring finger for accent. 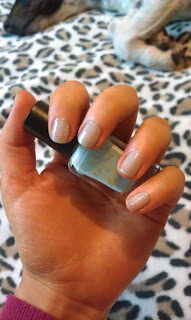 'Blue Moon' is the first Barry M nail paint I've disliked, it's so sheer. I've had to apply three thick coats to get the opaqueness I wanted and that takes a long time! The Technic glitter polishes are AMAZE! I also own one in 'Carnival' a multicoloured glitter similar to the American Apparel one, can not believe they are only 99p! What's in my current Make-Up bag?